test Soulseek Tutorial And Review - A Heaven For Music Downloads? Soulseek Tutorial And Review – A Heaven For Music Downloads? If you are into more rare music that can’t be easily found on most places online, love a more personal approach to sharing files, and have no problem with taking a little time to make everything work to its full potential, then Soulseek might be just the place for you. Soulseek not only has loads of free music, but also a pretty cool community of music lovers, often not only sharing random titles but whole album collections, which can sometimes be browsed through directly via the “view shared files” feature. Browsing around other users files and chatting with the community either via private, direct chat or on the large chat rooms (each dedicated to a music genre) will not only let you find new music you never heard or maybe even thought of, but you might also meet new friends, who knows? The software itself is quite easy to understand, with a simple-to-use search engine, and if you play around a little bit, you will quickly learn to use its full potential, as there is more to discover than meets the eye. On the downside, in order to max out the potential of the software you might have to spend some time to properly set up port forwarding, especially if you want to fully anonymize everything, because otherwise some users files might not be accessible for you. Using the network anonymously behind a VPN is a tad more difficult than with torrents, but we have an article on that too (see here). The copyright industry has not bothered to spy on this network for over a decade, but some might still want to hide their tracks, “just in case”. Also, some people will require you to actively share music yourself, so don’t clear your download folder right away and consider contributing something yourself. The bottom line: Just give it a try and tell us what you think! Are you a fan of bootlegs, alternative or other, more exotic music genres or groups that you can’t find anywhere else? Do you not mind to take a half hour to really get things, with the reward being tons of rare music and being part of a unique community of music lovers? Then you might want to take a closer look to Soulseek, one of the last remaining veterans of what we like to call the “personal P2P area”. First presented in 2001, just two years after Napster started the file sharing craze, it gained some popularity among with the Gnutella network (Limewire etc.) and KaZaA, Grokster and other clients. But while these are long gone, either sued to cease and decist by the courts, or have become riddled with fake files, viruses and contantly surveilled by the copyright industry, Soulseek is still alive and rolling. In the old days, many people didn’t just download but actively shared files between each other, not just on the technical side of things, but they were loads of people that actually converted their CDs and tapes to MP3, and made them available for people just because they wanted to participate in the whole thing. However, this quickly died down because people rushed in, avid to download without actually sharing anything. Soulseek, on the other hand, is exactly like in the old days: Downloads occur directly from one person to the other, and it is designed to let people form personal relationships, featuring direct contact per chat, social features such as friendlists and also larger chatrooms for all kinds of music genres. The result: Loads of rare music, shared by avid music fans. Up to this day, Soulseek remains an insider tip, a “niche” network of music addicts few people know about. It’s time to change that: here is our review of Soulseek, the old-school file sharing program you never heard about but should have! Soulseek is available for both PC and Mac, and even a version for Linux can be found, and installation is as easy as we’re all used to these days. After downloading the installer, you run it and click a few buttons, and you’re done. The software then runs by clicking on the desktop icon, simple enough. Next, you will be asked to enter a username and password, just choose something and remember it, as you will need it if you to use your nickname on a different computer. You will be asked to add a folder to share. We can only recommend to do this, because some users block people that don’t contribute to the network, so feel free to add some stuff if you have something valuable on your hard drive (be aware of the copyright laws in your country of course). Voila, you’re ready to access the community! And there you are: The main interface of Soulseek, open and ready to use. To get a feeling for how this works, how about a test download? Hit the “Search” button on top of the screen and enter a term, and within a few seconds, results will start appearing. 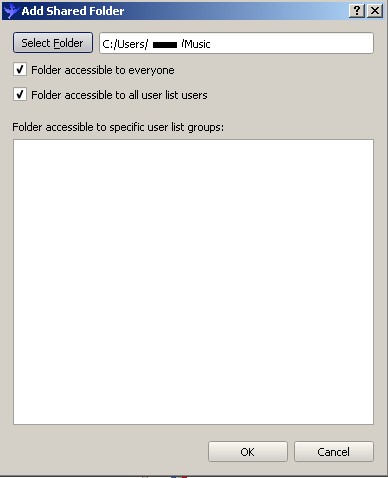 Notice how files are separated into different users, and folders, often representing albums, or collections. Now, you can either select a separate file or go for the whole folder by simply double clicking on it. Next is the “Transfers” tab. Here, you can see both what the current status of your downloads is, and what you are sending (or “uploading”) to other users. Look closely at the status bar to see the progress, and once a download is finished, doubleclick on the file to open it. Note: As Soulseek doesn’t support multiple file sources, it might happen that someone goes offline while you wait or even while downloading. In this case, you’ll have to wait for the user to go online again (the client will automatically resume the transfer), or to choose a different result from the search engine. You might come across some files with a gray color that you can’t download, or find that you can’t connect to some users. This is because a technical issue, missing port forwarding. Basically what this means is that your client cannot be directly contacted by other users, most likely because your router (or in some cases, your firewall) is not configured to allow this. In order to download these gray files, you’ll have to fix the issue. Luckily, there are easy-to-follow guides available that explain how to do this. We compiled a guide on all these slightly more complicated configuration issues, and it should only take you maybe 20 minutes to follow through with it. In case you want to download anonymously, you’ll need a VPN; however while all VPNs allow you to download through Soulseek you might want to select one that also allows port forwarding. For all of these issues, consult our tutorial on how to properly configure Soulseek to get the maximum out of it. – “Message user” opens a chat window to the user, allowing you to directly contact him or her. Time to meet a new friend maybe? – “Add user to list” adds this guy to your friend or contact list. This guy, for example, likes classical music from Chopin, and if you click on a folder, for example “Naxos Volume 1”, the tracks of the album are shown on the right. Feel free to rumage through the lists. Be careful not to download too much at once though, as some people watch their upload slots closely and don’t like it if someone tries to get too much at once from them. A word on “private sharing“: by adding people to your contact list, you can start to build your own, private network of users, and, for example, only privately share some or all of your files with these people. Some people like to do this, so if you find friends on the network with whom you’d like to share more personal things, this is another feature you might enjoy. What would a community be without a place to hang out and just chat? Under the tab named “Rooms”, hundreds of rooms full of fellow members are waiting to be explored, with one for each genre. Best of all, you can instantly see what these people are sharing, thanks to the user list on the right of the main chat window. 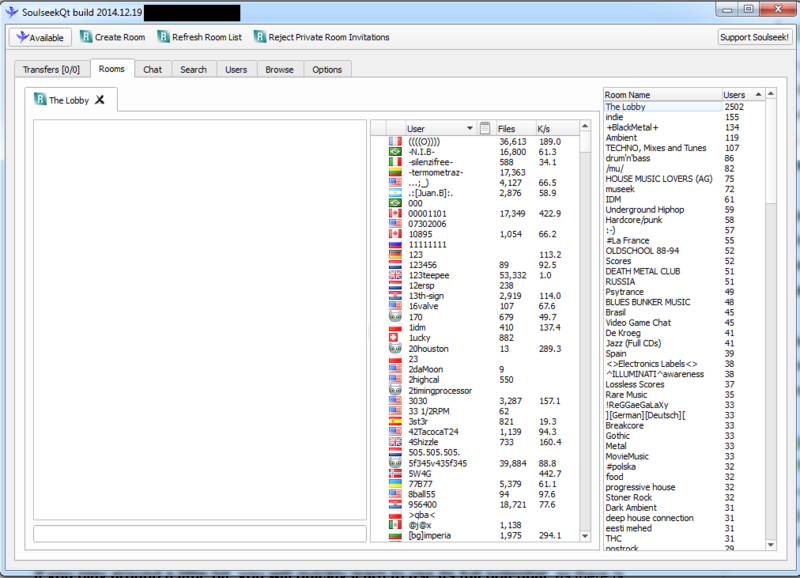 File sharing with included chat rooms, definitely one of the best inventions ever added to the client. Pro: Soulseek is a great place for true music addicts that listen to more than just the charts or other, more popular bands and groups. To anyone looking for a place to explore, share and meet like-minded people, this could very well be for you. On the technical site, things are old-fashioned, which, in a way, is both good and bad. On the bright side, direct user interaction is the core of a community, so the absense of multi-swarm technology, read parallel downloading the same file from several users, might be part of the concept, and the community, along with the masses of unique, rare content, is core of what makes Soulseek so great. Con: On the other hand, this also is why downloading speeds strongly depend on the bandwidth of the people sharing, and when this person goes offline, you have to wait for him or her to come online again to finish your download. Also, most other, modern file sharing tools usually have no big problem with the technicality of port forwarding, which makes setting the software up more complicated – you can use it without doing this, but you might be annoyed that you cannot download from some users. But don’t let this discourage you, because Soulseek, with all its flaws, can be almost heaven for you, if you get familiar with it. So just go for it, download the client and check it out. I would like to offer another hold over of the p2p era. It is Filetopia. There are still a large number of folks using the older filetopia software and there is also a newer version. Unlike other p2p sofwares filetopia was the first and is still one of the few that offers encryption between users for file sends. Sends between users is encrypted. This is unique and different from all the other p2p networks and offers some protection is transfers. Someone can see what you are sharing but they can’t see what is actually sent between users. So someone on the outside trying to see or capture what is being sent will just see an encrypted file. It always has been the most fun to use of all the peer network softwares. It built a large following and users because it was fun and was built around hundreds of different chat rooms that users or groups added… Joe’s Song Shack, or whatever… groups are put together, so you have a top level that has channel listings like, music, software, misc., etc etc.. clicking on the main group will then open all the channels made by users…. Let me know how you like it please…. Did not understand that answer… what they should have said is that we are working very hard to fix the issue and it will be fixed with the next update…. duh….. I think you should address this in your review and save some folks some time…. like me lol… not going to install soulseek at the expense of my antivirus and internet security suite lol…. where does the music go after you have downloaded it ? 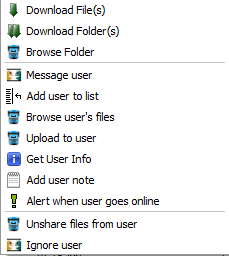 Look on your C drive for the soulseek folder. It will contain 2 subfolders, Downloading and Complete. One or both will have files, you can open them from the folder or drag them to My Music or wherever. soul seek is nothing but a bunch of leeches making a buck from you generosity. The only place I would recommend is rutracker, use chrome translate and you’ll know what to do. Very shady….Soulseek. Very nice overview of this venerable and enduring software. I’ve been using Soulseek for several years now, and I’ve always been pleased with it. It’s true that using Soulseek relies on the user’s own initiative to finding what they want, but with persistence you’ll get what you’re looking for, and maybe more. It is a direct, no nonsense application with just the right features that has lasted this long for a reason. I highly recommend it for your music needs.